The National Museum of Singapore is a national museum in Singapore and the oldest museum in Singapore. Its history dates back to 1849 when it was started as a section of a library at Singapore Institution. After several relocations, the Museum was relocated to its permanent site at Stamford Road at the Museum Planning Area in 1887. The Museum is one of the four national museums in the country, the other three being the two Asian Civilisations Museums at Empress Place Building and Old Tao Nan School, and the Singapore Art Museum. The museum focuses on exhibits related to the history of Singapore. The Museum was named the National Museum of Singapore in 1965. For a brief period between 1993 and March 2006, it was known as the Singapore History Museum, before reverting back to its previous name. 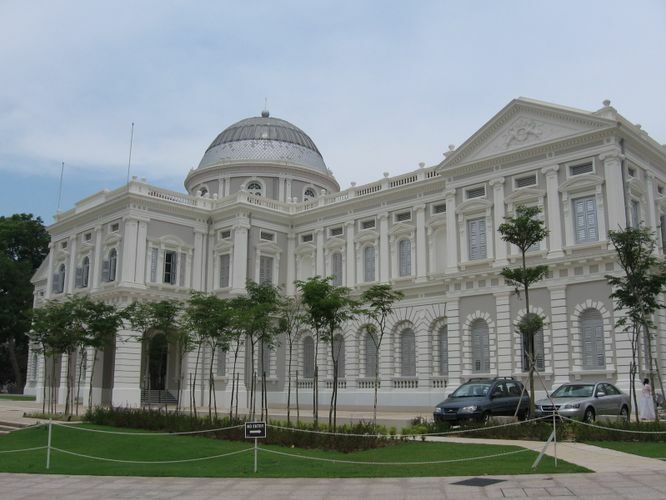 The Museum underwent a three-and-a-half-year restoration and reopened on December 2, 2006, with the Singapore History Gallery opening on December 8 of the same year. The revamped National Museum was officially opened by former President of Singapore S R Nathan and Minister for Information, Communications and the Arts Lee Boon Yang on 7 December 2006.